There is an increasing concern on the perturbation signal analysis on nonlinear modeling for nonlinear systems. Several studies have shown the importance of suitable perturbation signal for the real nonlinear system applications. 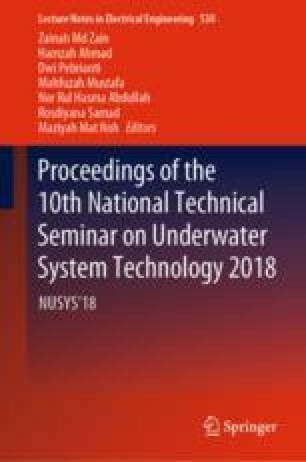 This study systematically reviews the performance comparison for nonlinear modeling using two perturbation signals, namely as Pseudo Random Binary Signal (PRBS) and Multi-level Pseudo Random Sequence (MPRS) for a time-varying water temperature of Steam Distillation Pilot Plant (SDPP). A Binary Particle Swarm Optimization (BPSO) algorithm was utilized in the model structure selection for polynomial Nonlinear Auto-Regressive with eXogenous (NARX) input. Three model’s selection criteria were examined; Akaike Information Criterion (AIC), Model Descriptor Length (MDL), and Final Prediction Error (FPE) for performance analysis that included model validation. The results presented lesser number of input and output lags, also fewer output model parameters for MPRS perturbation signal. Further analysis of the nonlinear model has demonstrated high R-squared and low MSE for model validation for both models using PRBS and MPRS perturbation signals. This project was funded by Institute of Research Management & Innovation (IRMI), Universiti Teknologi MARA (UiTM) Shah Alam, Selangor, Malaysia [grant number 600-IRMI/DANA 5/3 BESTARI 9049/2017)] and Kementerian Pendidikan Tinggi Malaysia [SLAI Scholarship] for the first author. The first author would like to thank Jabatan Pengurusan Sumber Manusia (JPSM), Universiti Teknologi MARA (UiTM) Shah Alam, Selangor, Malaysia for the scholarship management.